Chrisstahl Nigeria Ltd, a Leventis / Chryssafidis JV Company, is a supplier of industrial plumbing products. The core business of Chrisstahl is to provide manufacturing plants (food and beverage, petrochemical etc. ), construction companies, shipping and commercial entities with pipes, fittings, valves, pressure reducers, safety valves and other such products made out of iron, steel and stainless steel, bronze and plastic. 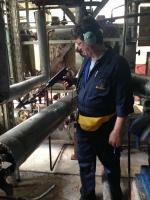 Chrisstahl's experienced engineers assist their customers in designing steam, petrochemical, NG and LPG systems. Moreover our engineers regularly visit customers on site to provide systematic pre and after sales support. Chrisstahl can provide maintenance assistance for certain critical product lines. In short, we aim to differentiate the services and products we offer to the Nigerian market. Chrisstahl Nigeria Ltd maintains a modern 2000 m2 warehouse in Lagos, Nigeria with readily available stock of pipes (API, DIN, 316L, 303, etc. ), fittings, flanges, insulating material, valves and other products from quality manufacturers form all over the world. Chrisstahl is constantly enhancing its Nigerian inventory and unique product portfolio in order to better service its Nigerian clients. 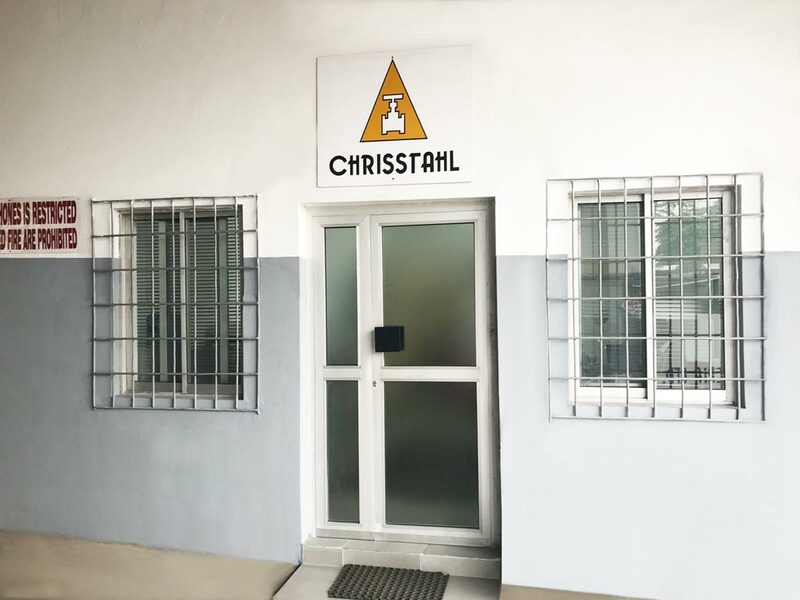 Chrisstahl Nigeria Ltd is the exclusive agent/distributor in Nigeria of ALFA LAVAL (stainless steel products), AVK (water valves), BÄNNINGER (PPR pipes and fittings), SPIRAX SARCO (steam traps, regulators and other products), EBRO (butterfly valves and actuators), VALVOSPAIN (API valves), KLINGER (level gauges, sealing material), REGO (LPG products), SAUNDERS (diaphragm valves), EFFEBI (ball and butterfly valves), RECOMB (grooved fittings), DOMEX (gate valves, pipe couplings & adaptors) and ROCHESTER (magnetic level indicators). We are also able to source a variety of related products from all over the world. Finally, our in-depth knowledge of products and applications enable us to add value to our clients by selecting the optimal technical and economic solutions to our client's needs. A.G. Leventis is a leading conglomerate in Nigeria with diverse activities in manufacturing, real estate, commercial vehicle sales & service, power generation, inks and flexible packaging production, foods, hotel and hospitality. A.G. Leventis operates in Nigeria and Ghana since 1930 and has a proven commitment to and knowledge of Nigeria. A.G. Leventis is part of the multinational Leventis Group, which operates in 28 countries and multiple industrial sectors. Founded in 1882, the CHRYSSAFIDIS Group is the oldest and one of the largest suppliers of plumbing and industrial goods in Southeastern Europe. In 2002, "CHRYSSAFIDIS" established "CHRYSMETAL" in Bulgaria and "CHRYSSFORT" in F.Y. Republic of Macedonia. "CHRYSSAFIDIS" has won many quality awards including the prestigious Athens Chamber of Industry and Commerce Prize of Excellence and Tradition. The firm has the largest technical staff in its sector in Greece and, by maintaining four computerized warehouses in Greece, one in Bulgaria and one in F.Y. Republic of Macedonia, the Group is able to provide excellent service to its customers around the world. Its many years of operation, vast product offering, specialized technical knowledge and extensive experience in sourcing enable the Group to provide its customers with tailored quality technical solutions and one-stop purchasing.